If you're guilty of leaving power equipment out all season or gumming-up the engine with bad gasoline, you're not alone. 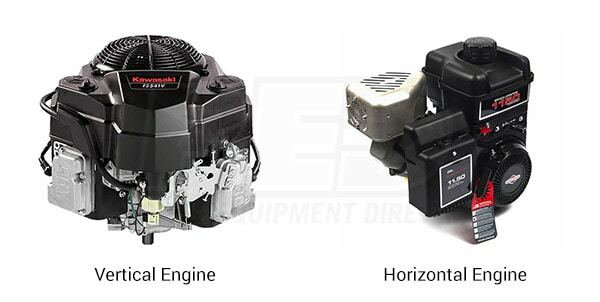 In this article, we'll walk you through the first 3 steps to replace an old or damaged small engine on your power equipment. If you are highly organized, you probably still have the owner's manual where you can find out the type of engine you have. If you don't, not to worry. 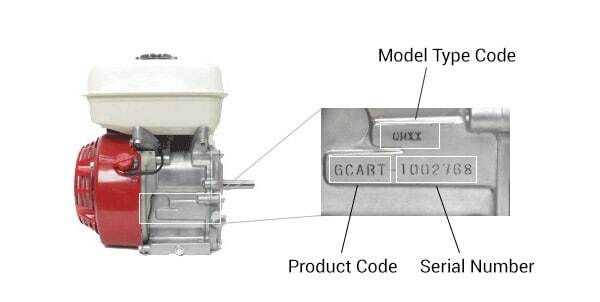 Simply locate the model and type/spec code that is most often stamped right on the engine itself or on a sticker on the blower housing. If you are part of the less-fortunate few whose engine's type code was printed onto a sticker - and that sticker is long gone or erased from gasoline, then you may want to give our experts a call. To determine the type of gasoline engine, you have to ask yourself, "Is this a 2-stroke or 4-stroke, horizontally or vertically-mounted engine?" The answer can be surprisingly simple. 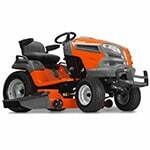 Lawn equipment like lawn mowers and lawn tractors have a 4-stroke vertically-mounted engine. That is, the engine's propeller shaft is vertically oriented and runs up and down. Larger "work equipment" like job-site generators, log splitters, and tillers have 4-stroke engines that are horizontally oriented, which means the shaft runs parallel to the ground. Pro Tip: An easy way to tell how the engine is oriented is to look at the pull cord and fan housing. If it's on top, it's a vertical engine and if it's on the side, it's a horizontal engine. Also, If you have to add oil directly to the gasoline, it's a 2-stroke engine. If you are trying to save a 25-year-old piece of equipment or one that came with a 2-stroke engine, then you might save yourself a lot of hassle by dropping a few bucks to get a brand-new replacement. Yet, It doesn't make sense to replace larger, more expensive equipment like a riding lawnmower or large generator every time the engine quits either. Engine failure can happen for a number of reasons, but the important thing to know is that you do not have to replace the entire piece of equipment just because the engine failed. You'll end up saving yourself a ton of money in the long run just by swapping out the old engine with a new one. With the right information, you'll soon be on your way to replacing the engine rather than replacing the entire piece of equipment. It can be a fairly easy and straight-forward practice provided you have the right tools and know-how. Q: They don't make my same model engine anymore. What do I do? A: If you can't get the same model engine that came with your equipment, there's probably a newer version available that will work just as well, sometimes better. Q: How do I upgrade to a larger engine? A: Although possible, we do not recommend a much larger replacement engine, unless you are willing to replace other key components that will work with the new engine. Q: Do I have to use the same brand replacement engine that came with my equipment? A: Sometimes you do, but not always. A direct-replacement engine of the same make and model is recommended. Our experts, on the other hand, can match the specifications with that of another brand or model engine if they are provided with the correct model information from the old engine. Q: Where can I get my equipment serviced or engine replaced? A: Although basic tools and mechanical ability are all that's required for a direct-replacement engine swap, there are times where you just want to make sure it's done by a professional. For a list of service center resources, check out our article: "How to Find a Service Center". Small Gas Engine Buyer's Guide.. Our Power Equipment Direct how-to library can help you learn about Official Photo Contest Rules, What to Do When Your Engine Fails and Proposition 65 Product Labeling.